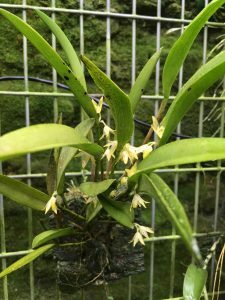 This species is similar to Octomeria densiflora (day 279) with stiff leaves and a bunch of flowers produced at the base of each leaf in Autumn. Compared to Octomeria densiflora this species has narrower leaves and produces fewer flower in each bunch but individual flowers are a little larger. 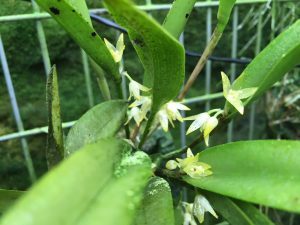 Octomeria crassifolia is found in Brazil, Ecuador and Uruguay in damp montane forest.